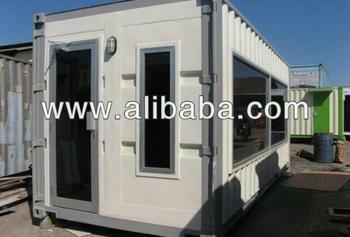 Note that the modified container is equipped with an exhaust fan is also painting the outside wall and heat resistant inside. Container prices are subject to change at any time depending on stock units that existed at the time of purchase / sale transaction begins . Prices are including taxes and not included postage send container. Such letter of offer was made as consideration and in order to assist in the realization of the good cooperation. A few of us, thank you very much for your attention and for further information we will wait for good news from you. As for the other additional facilities can be discussed further in the collective agreement, please contact us if there is to be conveyed and there may be other things that need to be asked.